I know I have been very irregular in my posting, as mentioned above, but life is about to get a wee bit more irregular, so, sorry in advance! And if anyone is keen on guest posting (I will officially ask a bit later on), then drop me a line at gobakeyourself@yahoo.com.au 😀 thank you! Phew, I always love it when admin stuff is out of the way! Because that means on with the food 🙂 And my mouth is salivating just recounting my tales from this eatery! I was surprised they used rose water in it as well, it left a nice non-nailpolish fragrance in the mouth. 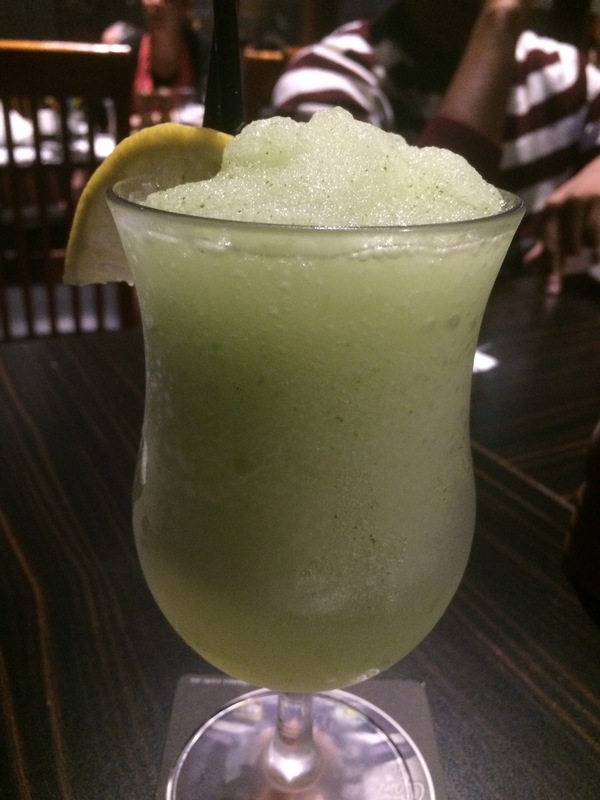 Despite how hectic this restaurant was on a rainy Saturday night, we were pleasantly surprised that we were not sipping alcoholic beverages on empty stomachs for twenty minutes. Only a few minutes later, did our entrees come through, with a smell that made my angry stomach protest for food. We keep our entrees simple really, going for the traditional and the delicious items. 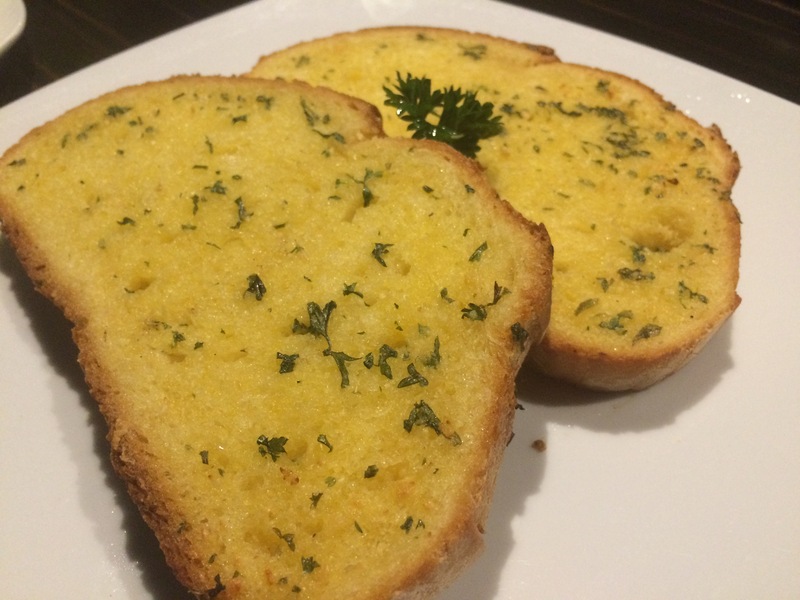 Starting off of course was the classic Garlic Bread ($5.90). Two large pieces of buttery bread with Italian herbs, honestly it is hard to go wrong here. The bread was crunchy, the butter melted on your tongue and the garlic smell was enticing. 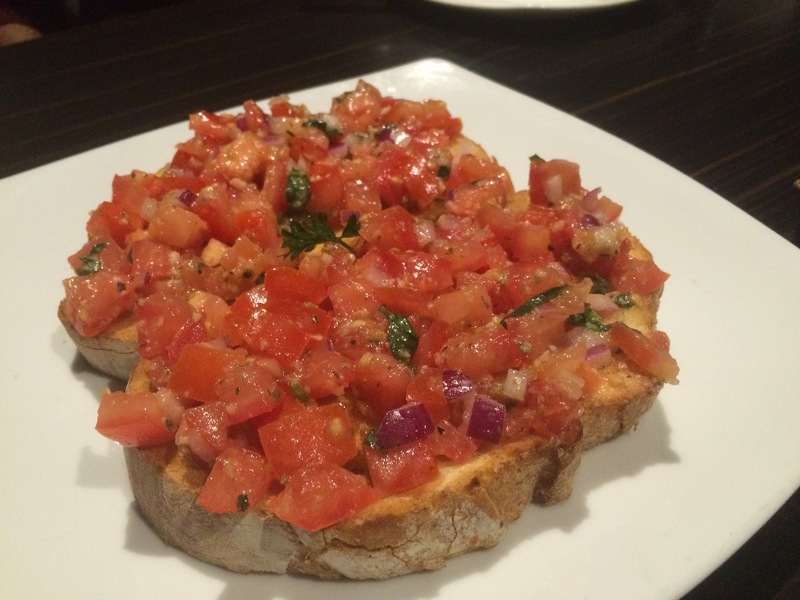 My mum and I, since we are related you know!, share a love for Bruschetta – $8.90 (which I actually learnt a few months back, is pronounced bruce-ketta with an Italian accent, not that I would ever have the guts to order it like that 😛 ) so we decided to get a serve. I was pleasantly surprised that despite the fact that we didn’t start on it immediately, the bread wasn’t soggy from the tomatoes, nor was the flavour compromised. My brother and dad got a little adventurous (I was mucho proud) and also ordered a plate of Arancini ($16.90). I ADORE this, but at this particular restaurant, they only had a chicken version (*cried*) so had to watch them dive head first into a melted cheese heaven surrounded by crispy golden crumbs, and topped off with napoletana sauce. Please Millone’s, for the sake of your vegetarian customers, make a vegetarian version available! I didn’t stay all that mad for all that long though because lo and behold, after a nice 15 minutes of digestion and settling down, came our mains. I was very happy with their timing, they seemed to know exactly when we were ready! My mum and I, once more, decided to do the sharing-caring business and ordered one pizza and one pasta to split. I chose the pasta, mum chose the pizza but in the end, we basically swapped our dishes. Aren’t we too adorable? 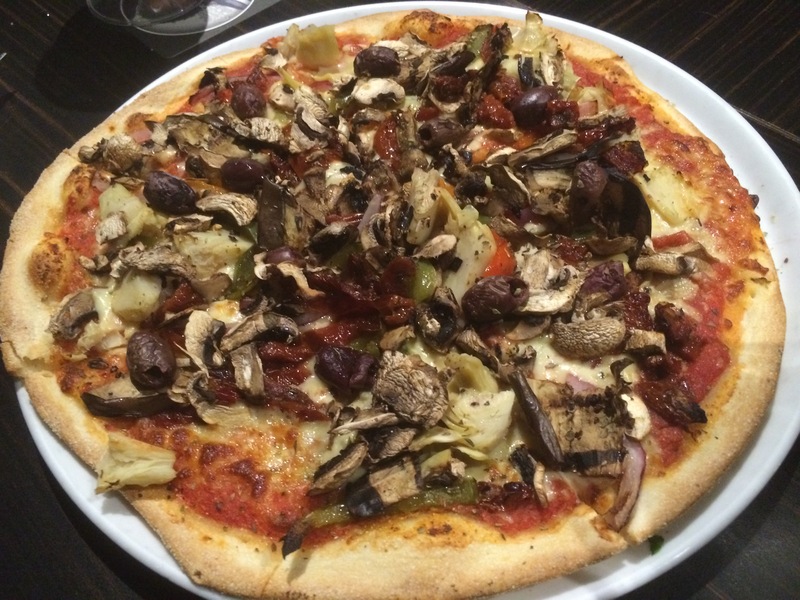 The Vegetarian Pizza (19.90) was delicious, generously topped with the iconic Italian vegetables such as eggplant, mushrooms, artichokes, sundried tomatoes. I like that they didn’t try to get adventurous just because it is such an iconic dish. The crust was a little smoky, which taste delicious. 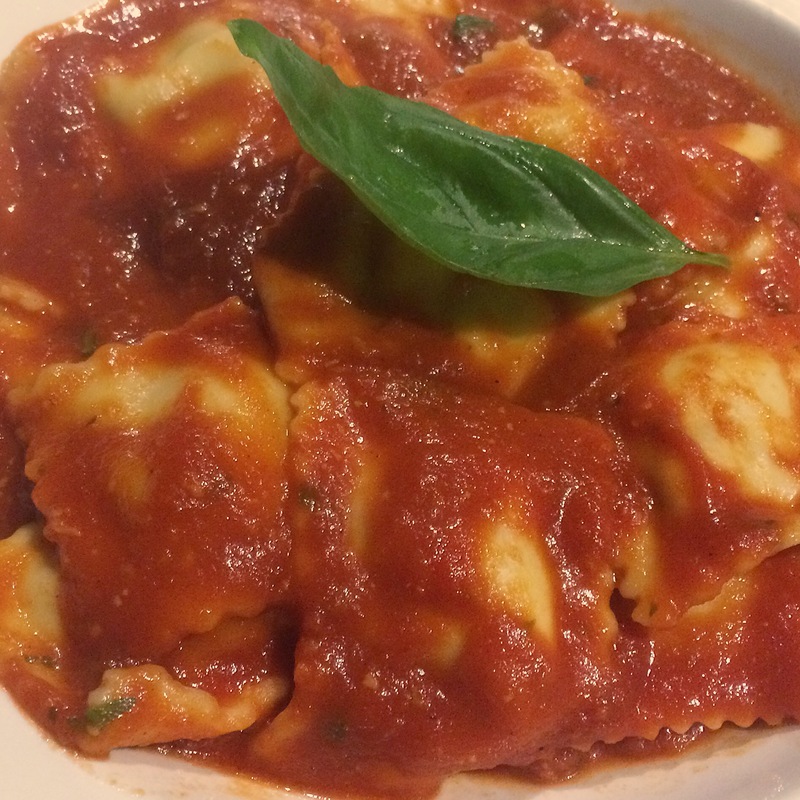 We also ordered the Homemade Ravioli Napoletana ($19.90), which came generously served and topped with their delicious napoletana sauce. I actually keep going on about their sauce because it is one of the best I have ever come across to be honest. Not too sweet, hint of spiciness (that my mum added chills to of course) and very rich, without feeling like I am putting cream in my mouth. However, I do have shots of the desserts we enjoyed, because obviously… I’m not that bad! My mum has a penchant for Tiramisu ($11.90), and the fact that this creamy, spongey concoction also came with a side go gelato really made my day 🙂 It was fluffy and tasty, to the fact that my healthy-no-nonsense-in-my-body mother basically finished it! 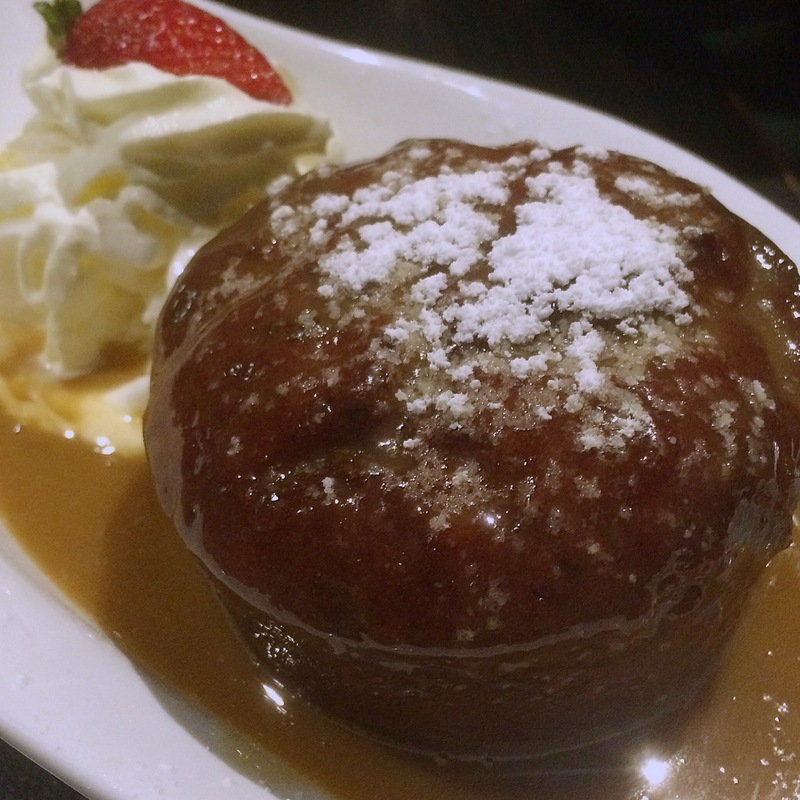 Of course, we ordered the main dessert of the evening – the classic Sticky Date Pudding ($11.90), which was a rich and moist cake generously soaked in butterscotch sauce. I would have preferred a bit more ice cream, but to each his own! The cake had a deep date flavour, and was extremely sweet, but without being cloying, which made it more delicious! Large tables – for once, it isn’t four people trying to squeeze everything onto a small square! On a quick note, I’m sorry I haven’t been posting as often as I would like dear readers! Life has been hectic, I have a LOT of decisions to make right now and of course, there is uni! Blogging is taking a bit more of a backseat here so I hope/know you all understand! All of the dishes you showed us here look fantastic & so appetizing too! Can’t wait for your news…and I know it’s food related. Hope you are starting your own line. Don’t worry about the irregular part, because quality matters. 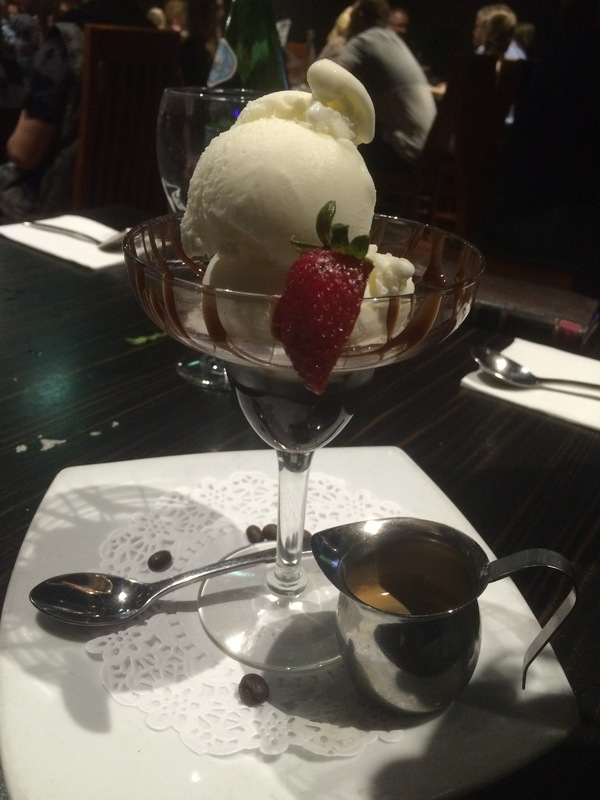 Everything looks awesome Uru…and so many choices of desserts…yum! The vege pizza looks sensational. Artichokes is one of my faves on a pizza. I was in your neck of the woods last week at a friend’s place 🙂 I hear you RE non-veggie versions of things that could easily be vegetarianised – fair breaks my heart sometimes. Those prices seem v steep – esp for the sticky toffee pudding. nice cozy place, nice food and nice accompany, nothing better then!!! I think we could be best friends – rose water cocktails, not buzzing easy and delicious meals… cheers, friend! I wish i could eat RAVIOLI!!!! I envy you. Looks delicious food. I need to try vegetarian version of aranicini. Sounds like you picked a winner CCU! I love Italian food too, always very satisfying. I seriously could not stop licking my lips at the ravioli lol. I don’t know what’s wrong with me but it looked so damn good girl lol. I am in love. And look at that dessert… yup I’m so hungry now lol. I can’t wait to hear your big news. In suspense over here :). I love the Godfather reference. 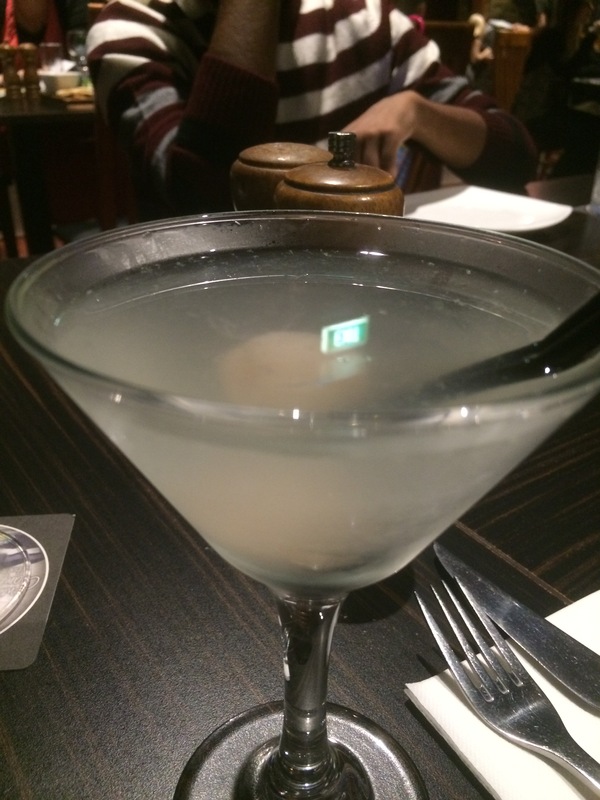 The rosewater lychee martini sounds wonderful! Everything from the ravioli to the affogato looks heavenly! Looks like you had a great meal. Looking forward to your announcement! I’m right there with you on the Italian food comfort factor. Smoky veggie pizza sounds tasty! 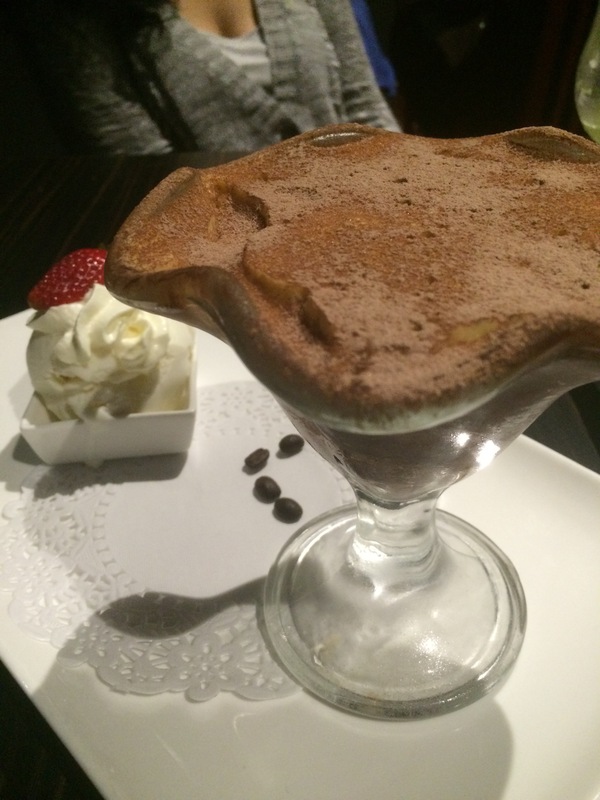 Your mom has excellent taste – would love to have that tiramisu dessert in a heartbeat!! Italian food does make for amazing comfort food! Sounds like such a fun meal. Affogato is my favorite too! Everything looks so good. I am not a vegetarian but I like veggo arancini. You just made my belly rumble!! oooooooooooh what an awesome dinner!!! I’m starving looking at all these photos! I agree with you about Italian being the ultimate comfort food. Mmmmm, pizza and ravioli!! I could have made a meal with just the bruschetta! Oh I’m with you – Italian food is definitely comfort food. You just can never go wrong with it. Everything looks delicious, but I think I would have been completely satisfied with a plate of that beautiful bruschetta! Love Italian food and i love every one of those dishes you ordered. This is one of those rare moments when I am contemplating whether I like the sweet more than the savory. Great review Uru! 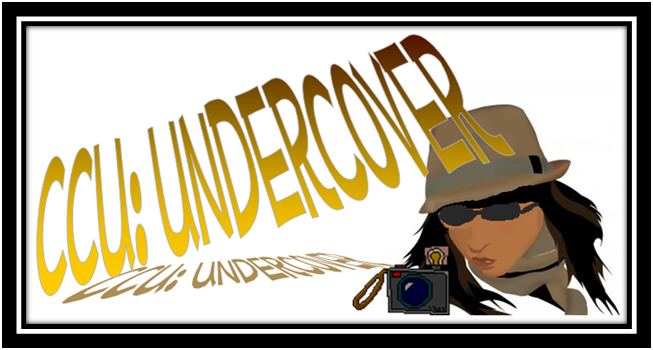 I think it’s about time I came with on one of these undercover sessions, you know, just as a second opinion to make it fair. Hee hee. Imagine how much fun that would be! Have a wonderful and happy day CCU. That food looks wonderful. Your blogging pals will be still here when you have made your decisions and done all your Uni work. Because we can, we have bought a ShelterBox. Look them up. They are an amazing charity based here in Cornwall. Small contributions from lots of people make their work possible. Thank you for you plea at the start of your post. What an awesome meal! I love those bruce-ketta! Yup, Italian always does it for me, too. What a lot of dishes you had! Sounds like a great place. And I love places that don’t seat you at really tiny tables — so uncomfortable. This sounds perfect — thanks. I wish I had this for my dinner!! 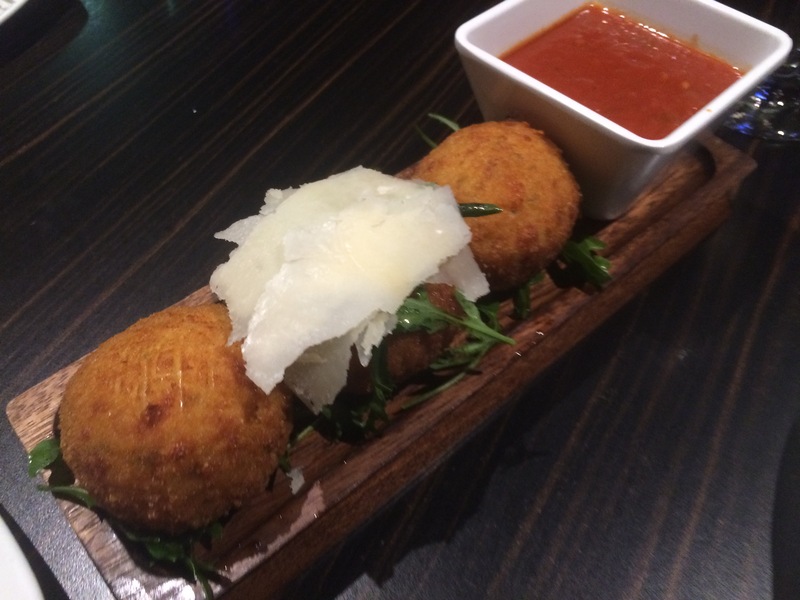 Looks so good – especially that arancini!